Great courses to play on your way. 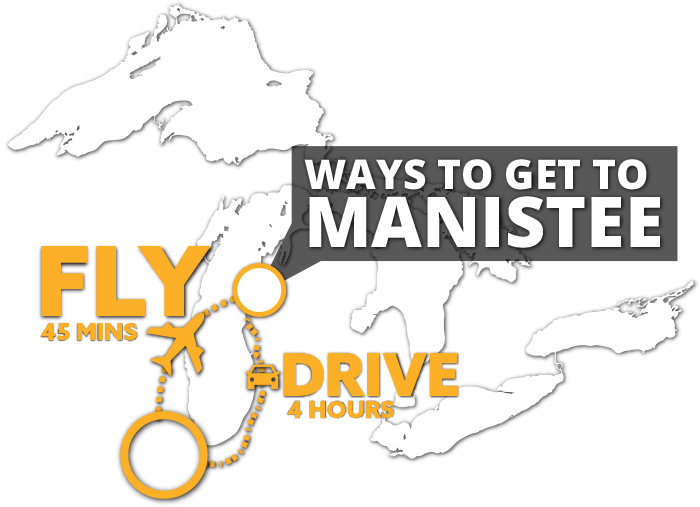 Stay a night or two and experience Manistee’s best courses! Add a day to the front or backside of your Northern Michigan golf trip and try one of our incredible courses… or better yet, plan your entire trip here! It’s one of the top public golf courses in the country, and the minute you pull off M-22 and make your way up the gradual drive towards the lodge featuring panoramic Lake Michigan views you will quickly see why The Bluffs defines Michigan Golf. With the addition of their South Course in 2018, Arcadia Bluffs now features 36 holes of Championship Golf and a world-class experience to go along with it. *Arcadia Bluffs is ranked #13 in the top 100 public golf courses as rated by Golf Digest. A perfect one-two punch of golf can be experienced at Manistee National, just south of Manistee. Here, two golf courses sit within ¼ mile of each other with such a contrast in architecture, style of play and landscape, it feels like they could be states away from one another. 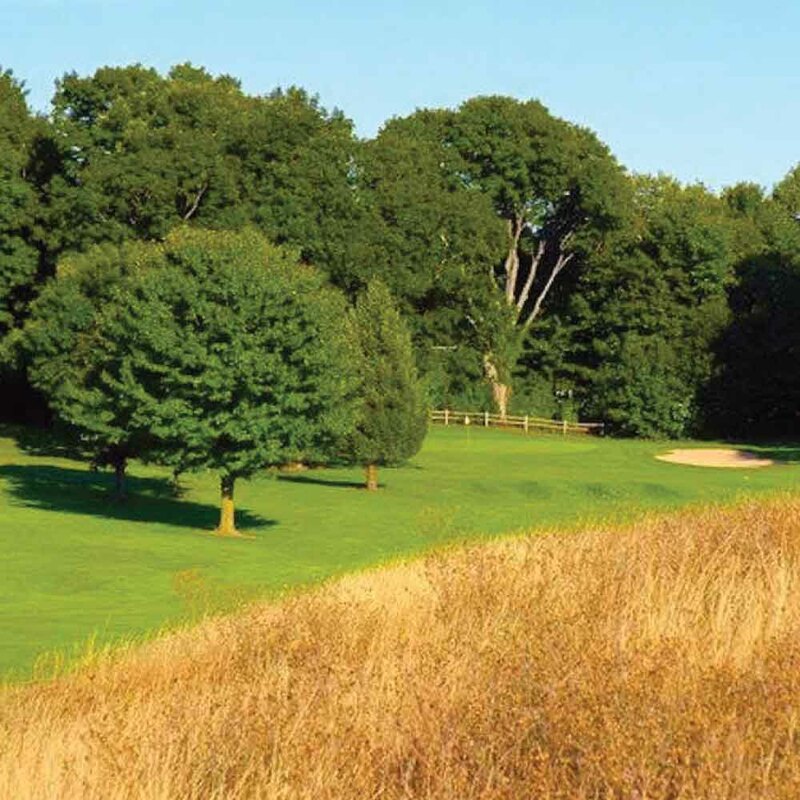 Canthooke Valley is carved out of dense hardwoods and is often described as a course you could play every day and never tire of while the Jerry Matthew’s design at Cutter’s Ridge offers one of the highest slope ratings in the State of Michigan. The Highlands is a great golf environment. It isn’t too long, an isn’t too short. The terrain is varied in all of the right places and you could play the course a dozen times and never find yourself hitting the same approach into the greens. Appropriately named for its location in the rolling hills overlooking Bear Lake, the Highlands has been offering a family and community friendly golf experience for over 50 years. Even at 6,500 yards from the tips, the course plays quick and if you are planning your trip up north, you can be the first off in the morning and get done before lunch, or still get in 18 in the peak summer light even if you don’t get out until 5:30. – Steven Biehl, Golf Superintendent, Bear Lake Highlands, Little River Casino. 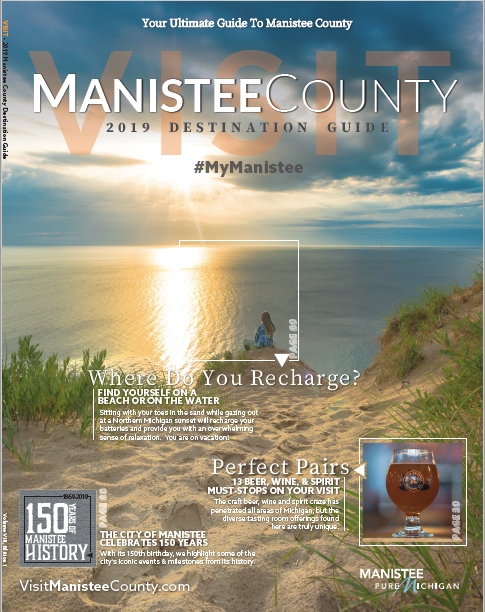 Don’t let the name fool you, the Manistee Golf and Country Club is open to the public and is one incredible golf value considering you are playing on the shores of Lake Michigan. Opened for golf on just four holes in the summer of 1901, many people picked up a club for the first time and were learning the game since there we no courses in the region. The current clubhouse was constructed that same summer on the site of the current 14th green overlooking Lake Michigan for just $2,000 and was completed in 60 days. 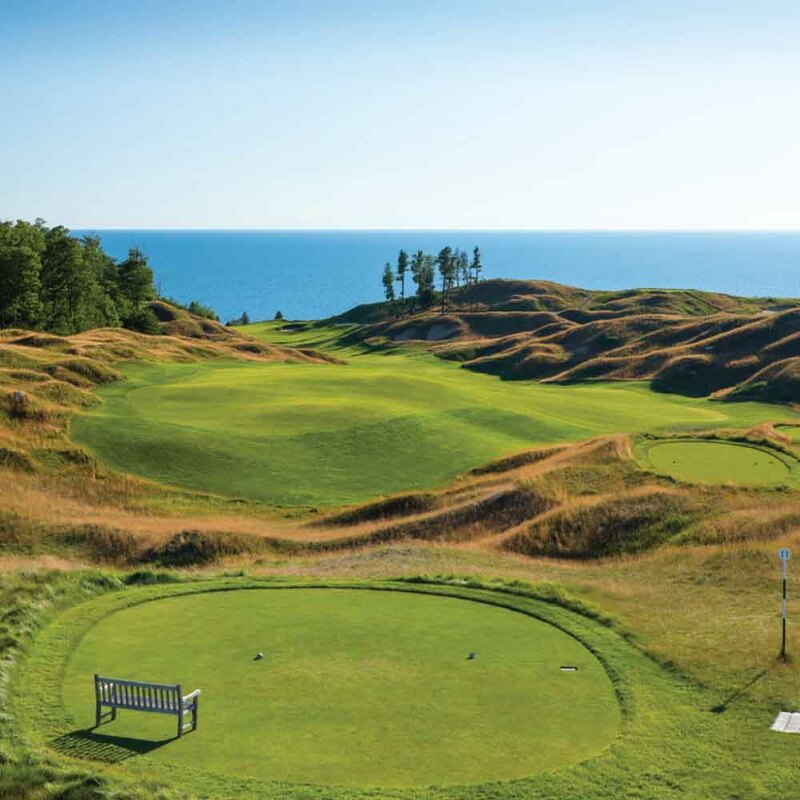 The early years of golf didn’t see many courses playing on the bluffs of Lake Michigan and yet early Manistee golf pioneers envisioned a beautiful layout of spectacular golf holes on its shores. The course has a great flow of golf holes that provide for a fun but challenging round of golf. With three (3) sets of tees, golfers, from beginners to the more competitive, can enjoy this historic course. At just 5,614 yards from the tips, the course is not going to be the longest you find yourself on, but it makes for a very fun round of golf and is a great walking course. 2 courses on Lake Michigan, A top rated course in the nation, and plenty of Stay & Play options… what more could you ask for?